Home » Buyers guide » The Best Humidifiers For Pregnancy – 5 Great Choices You’ll Love! Humidifiers are hands-down one of the best and most affordable investments you can make. There’s a whole range of symptoms they can quickly give relief to for expecting mothers and babies. But knowing which ones to buy, how they work, and why they’re helpful is a hassle to figure out. I’d love to help make it easy. 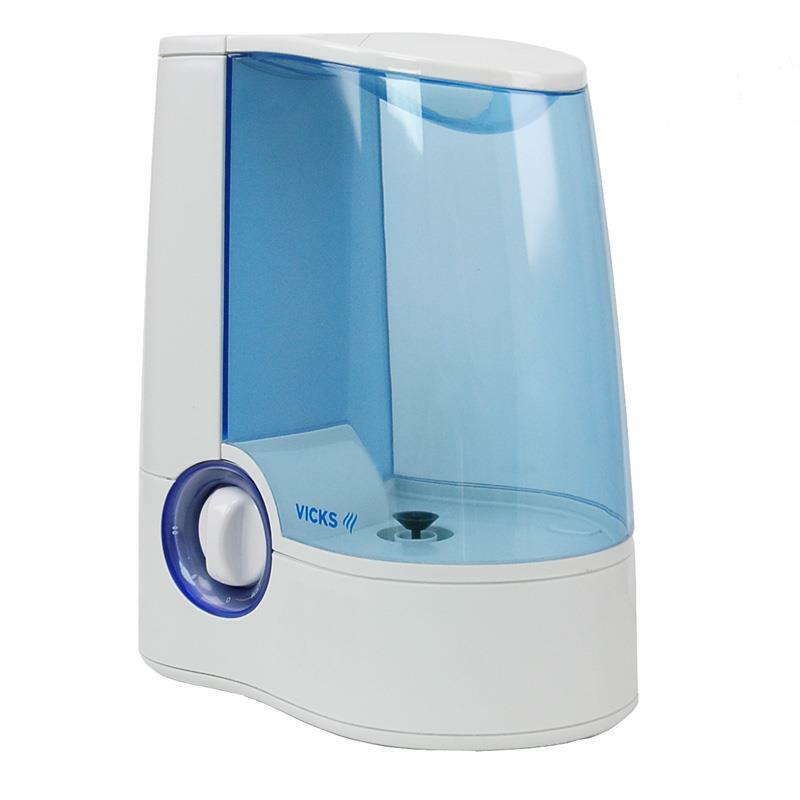 In this post I’ll show you 5 of the best humidifiers for pregnancy and newborn babies. Each one’s a solid value, has great features, and I’ve got all the details to know. 2. What is humidity? Why does it matter? 3. What’s the best humidity range for pregnant mothers? 5. 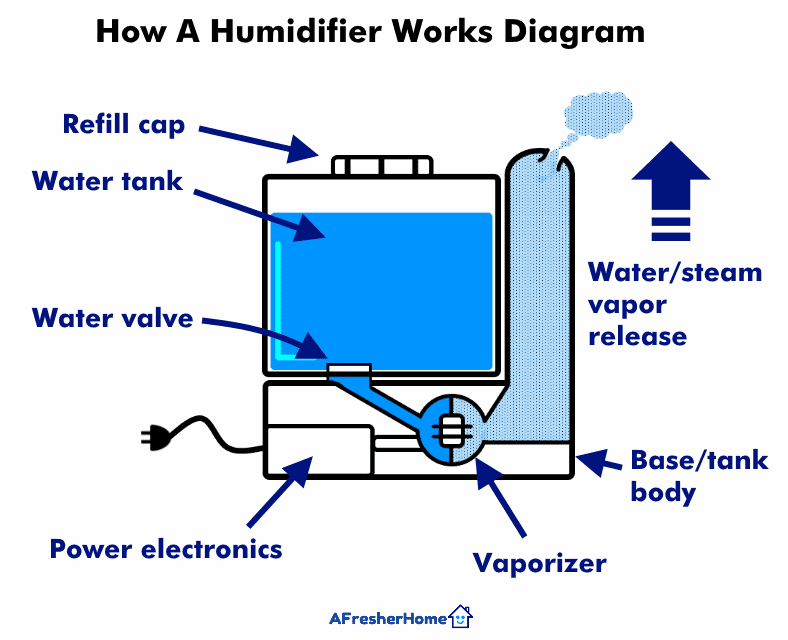 How do humidifiers work? What is humidity? Why does it matter? 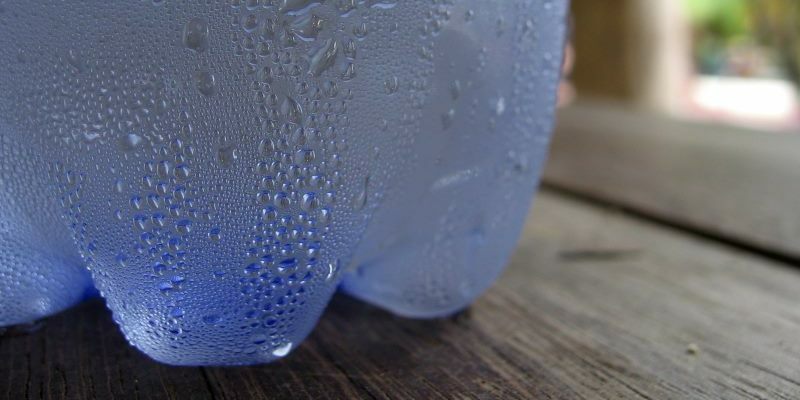 When you see condensation (a cool surface that becomes wet) on an object it’s because the moisture in the air has been drawn to it and collects as liquid water. It’s simply a buildup of the “humidity” (moisture) in the air around you. The amount of humidity affects how much or how little water there is in the air. 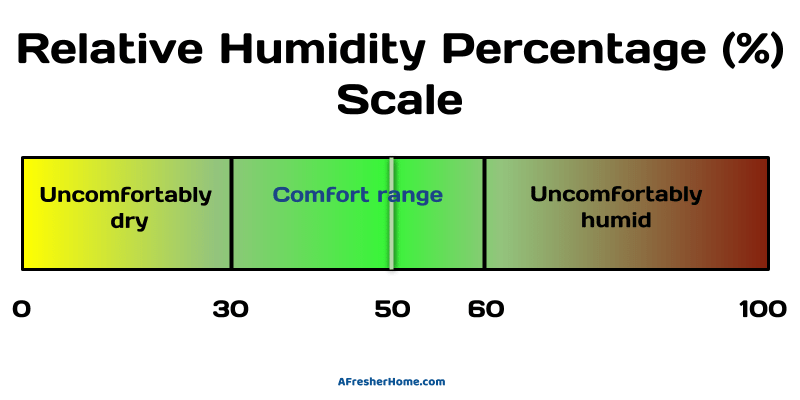 A simple way to understand humidity is to say that humidity is the amount of water vapor present in the air for the current temperature conditions. Because of the physics of temperature, water, and air, it’s only possible for the air around you to hold so much moisture. The amount of moisture air can hold is relative to the temperature. That’s why it’s called relative humidity. It can get more complicated than that but the most important thing to understand is that we care about how much moisture – or as we say, humidity – is in the air we breathe, work in, and sleep in. As you’ll see in a bit an unhealthy humidity level can make life harder for pregnant mothers and babies, too. After a heavy rain water may evaporate and begin to quickly raise the air’s moisture level (humidity). That’s one of many examples of high humidity we feel every day in nature. Humidity is a really common by-product of the weather patterns and climates around us. For example, following a heavy rain when the sun comes out you may notice a “muggy” feeling around you. That’s due to high humidity as the water outside after a rain evaporates and rises in the air. Some other examples are dry climates like in Arizona or California where there’s a lower than normal amount of humidity sometimes. Likewise, wintertime and heavy indoor heating use are 2 of the largest causes of low humidity. Not only that, but using a heater a lot lowers the humidity to levels that are hard on your pregnant body. It’s also hard on babies and can trigger some unpleasant symptoms for both of you. 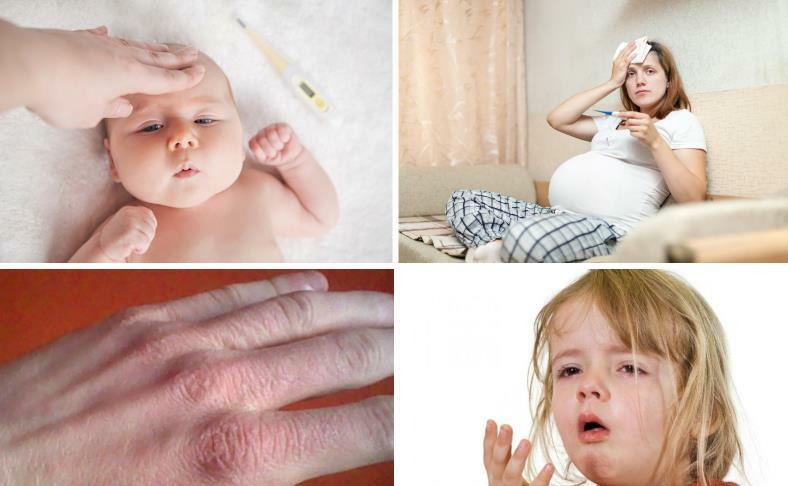 Colds, coughs, and other sicknesses are especially hard on pregnant moms and infants. Low humidity creates dry air that comes with a whole list of uncomfortable symptoms. To get relief you’ll need to use a good quality humidifier in you or your baby’s room to bring the moisture (humidity) back to a healthy level. Air that has a lower than normal humidity level doesn’t only dry out your nose and throat. Additionally, babies and pregnant moms are susceptible to getting sick and suffering from respiratory problems. Babies are particularly vulnerable since their organs haven’t fully developed and matured yet. At healthy, normal humidity levels your body can produce mucous in your nasal and other passageways like your throat and sinuses. These help keep your respiratory moist and protected not only from foreign particles but sickness-causing germs too. When the moisture is excessively low these membranes dry out and cause pain and making you or your newborn more prone to sickness and allergies. It’s even worse in winter! Indoor heating systems are a big contributor to the problem! That’s especially true if you use a wood stove. Even electric or gas heating systems in your home cause the humidity in a home to drop to very low levels when in use. I’ve seen humidity levels fall to well below 25%…and even more! That’s a very uncomfortable level, and every time I could definitely feel the side effects. Expecting moms need to know how to deal with this and get relief. What’s the best humidity range for pregnant mothers? Shown: This scale shows the general humidity ranges that are best for pregnant moms, babies, and even other adults & pets in general. Note that I’ve marked the middle range (30 to 60%). That’s because the general comfort zone is between the two. At around 30% and below you’ll need to use your humidifier as you’ll definitely start to feel the dry air. As I mentioned earlier, we normally talk about how me measure the humidity around us using relative humidity. It’s a scientific term used to describe the relationship of humidity to temperature. In case you didn’t know, the temperature of the air around you affects how much moisture it can “hold.” Relative humidity is normally measured as a percentage. The higher the temperature, the more humidity that is possible. If you’ve ever been abroad to more tropical areas you may have already experienced this yourself. A good range in general of between 30 to 50 percent is ideal for your home, although what feels best for one person may be different from the next especially if you’re expecting a child! A good rule of thumb is 50% humidity. It works well for nearly everyone and is a good target. When the humidity falls below 30 percent your home’s air is too dry and you need a humidifier. The idea isn’t to get some perfect number in you or your baby’s room – but a general range you’ll be comfortable with. There’s no reason to stress over guessing what the air conditions around you are like. 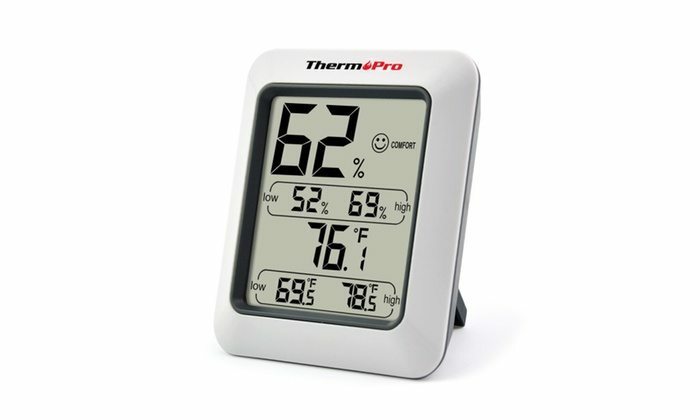 These days you can just pick up a high quality but cheap temperature and humidity gauge like this ThermaPro model I picked up at Amazon. Guessing doesn’t work! It’s hard to judge air as your body may change in sensitivity throughout the day. In my opinion the most affordable and hassle-free way to check the humidity level for is by using a simple and cheap digital temperature and humidity gauge. This takes the guess-work out of trying to figure out when you need to use a humidifier. As I own some myself, this lets me check at any time of the day or night – 24 hours a day, 7 days a weeks! During your pregnancy it’s sometimes tough to get the rest you need. Don’t waste time trying to figure out if it’s too hot, cold, or too dry in your room. Pick up a humidity gauge and you’re done. Most also give the current temperature and are very accurate, too! Just place one in you or your newborn’s room. When running a humidifier, you’ll be able to see the humidity level rise in real-time and you’ll know right away when you need to lower it or switch it off. Humidifiers are electrical appliances that change liquid water into a fine mist (called water vapor or steam) and release it into the room’s air. As this happens the humidity will gradually rise and the healthy, comfortable moisture level you need will return. Humidifiers work by changing liquid water into a fine mist that fills the room’s air and increases the humidity level. While there are 2 main types available today there are other less commonly used types. Each type of humidifier changes liquid water into a mist by evaporation, mechanically, or using other electrical powered devices. As they work (some are faster than others) your room will gradually become saturated with moisture in a way that resembles a nice balance found in nature. A little while after switching it on (often about 15-30 minutes or so) you’ll begin to feel better. The principle is very similar to running a hot shower in the bathroom or after a heavy rain followed by sunshine. Humidifiers store water in a tank resting on the base of the unit. The stored water is then vaporized using electrical heat or an ultrasonic devices in most cases. When the tank runs dry, it’s refilled with clean water (often distilled water or faucet water is used). A humidifier’s output is a very fine, gentle, and natural release of moisture into dry air. They’re great not only for expecting mothers, newborns, and infants, but also help with a few other problems you might not have thought about. 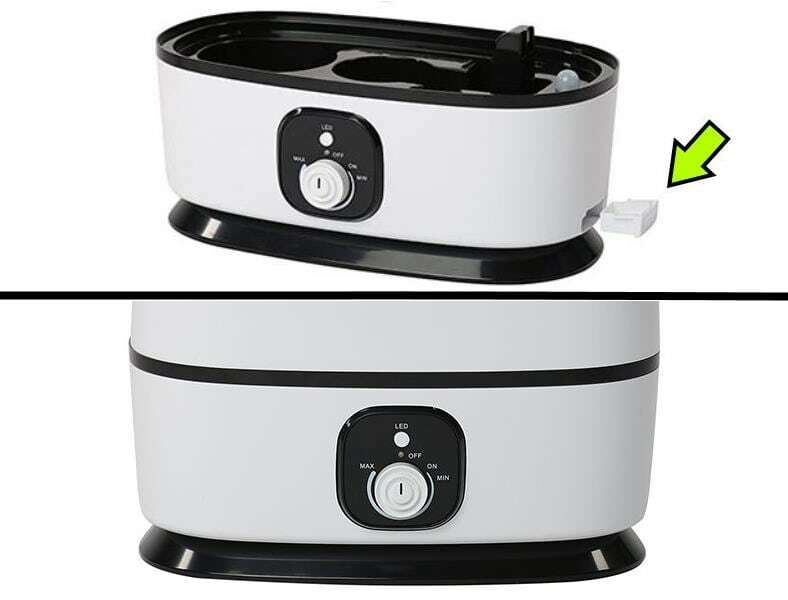 Shown: Warm mist humidifiers work by using heat to produce a steam vapor. Electricity powers a heating element that vaporizes the water as it flows from the storage tank. Unlike cool mist models, most have fixed output level selections (like low, medium, and high) as opposed to an adjustable dial. 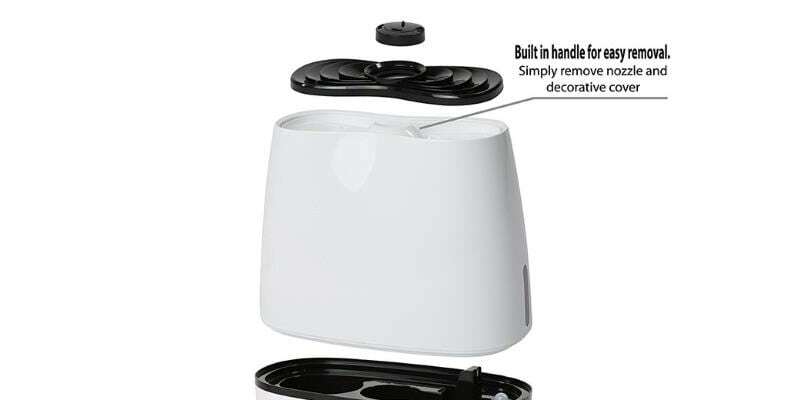 Warm mist humidifiers work by converting water into a gentle steam using a heating element. Just like steam from a hot bath or shower the warm moisture rises into the air and gradually increases a room’s comfort level. Not to worry, though, as warm mist models generally produce safe, mildly warm steam water vapor that’s not hot enough to be harmful. As a matter of fact, with many models you can put your face over the output nozzle if you choose, much like old congestion remedies where it’s helpful to breathe in steam directly. The biggest benefit of warm mist models is how helpful they are for colds, congestion, and other related symptoms. Some models also allow adding medicated liquids or menthol pads to act as medicinal cold relief to help you breathe and feel better. 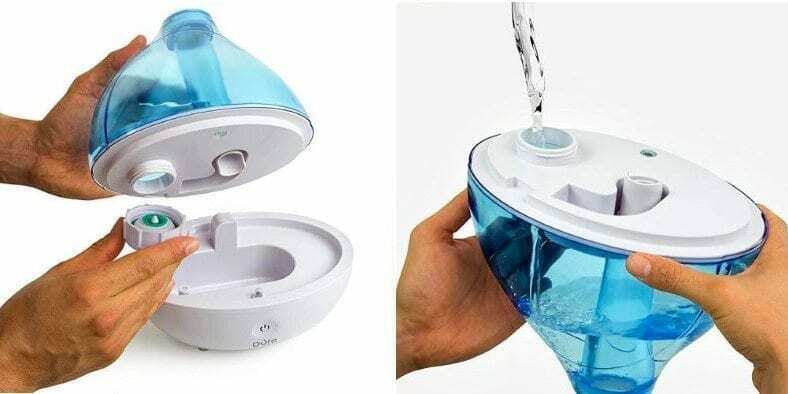 It might be hard to tell the difference at first glance, but cool mist humidifiers work very differently. They don’t use heat to change water into vapor but instead use ultrasonic components or other devices to rapidly fluctuate water and change into a vapor gas. They’re great for year-round use and don’t add heat to a room. Cool mist models use a high-frequency device to vaporize water and release a fine mist that’s cool (room temperature). They’re very efficient and very quiet, too! Great for pregnant mothers who really need their rest and great for newborns as well. Many use an ultrasonic transducer or nebulizer (water-disturbing device) that works at a high frequency to rapidly break water into a very light and fine mist. Since they don’t use a heating element they run cool and don’t raise the room’s temperature like warm mist models. Cool mist model are great for parents and babies year-round regardless of the weather or climate. For those who live in dry climates they’re the best choice. Additionally they’re good if you don’t need the congestion relief warm mist models offer during cold & flu seasons. Evaporative humidifiers work by promoting the natural evaporation of liquid water. Many are “passive” in that they don’t use an electrical device to increase a room’s humidity. (Some may use an electric fan to help aid the evaporation process, however). They’re super quiet and very simple but they work slowly and aren’t ideal if you want fast results. Evaporative humidifiers work by the natural evaporation of water into dry air. Instead of using electricity to convert water into vapor this type works by simply storing water and helping it evaporate naturally. Some models also use an electrical fan to aid the evaporation process and speed it up a bit. While they do offer some benefits (simplicity, no or little energy use) they’re very slow compared to warm and cool mist models which work faster. Compared to warm and cool mist types they have 2 big disadvantages: They can’t aid cold & flu congestion like warm mist models can and they don’t have adjustable outputs like many cool mist models. However, the benefit is that since evaporation works naturally, they can’t over humidify a room. Also, they’re extremely simple in how they work. 1. 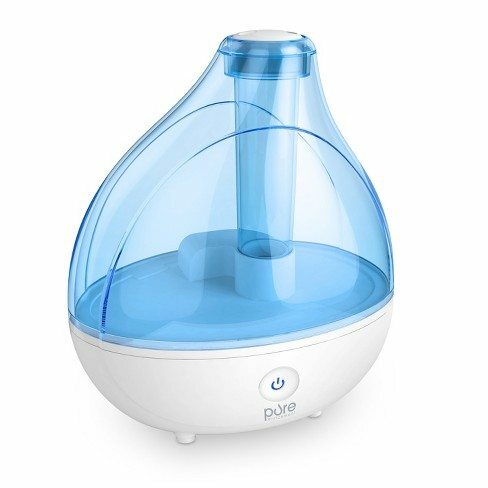 Pure Enrichment MistAire – A great humidifier and a great value! There’s definitely no shortage of cool mist humidifiers today. However, there’s one here I can’t recommend enough as a great choice for many pregnant moms and mothers with babies. 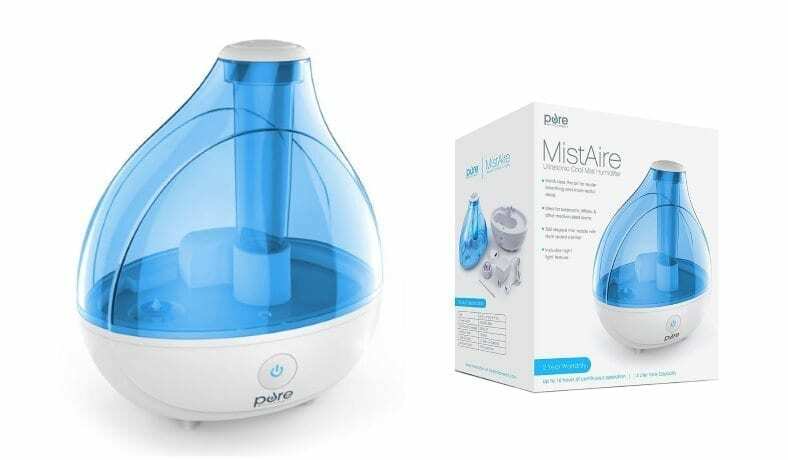 The Pure Enrichment MistAire is one of the best-selling cool mist humidifiers you’ll find. It’s feature-packed, easy to use, and very well made. Not only that but it’s whisper-quiet so you won’t have to worry about being distracted by noise – especially at bedtime. Left: It’s easy to clean and maintain. There’s even a handy brush included! Use it to reach those hard-to-clean areas and save time. Right: Like adjustability? I do, too! The output nozzle features 360 degrees of rotation and works well. Turn it any which way you like for best results. The MistAire was recently updated and now includes a 2-level touch control. For just the right amount of baby and expecting mom dry air relief there’s an adjustable output nozzle. Simply rotate it and set the output amount – you’re now ready for healthy, safe room-filling moisture. Rotate the nozzle to point the soothing, gentle water mist anywhere you like – you’ll get a full 360 degrees of rotation from it. It works well and is really simple to use in my opinion. Did I mention there’s a night light feature? Just switch on the built-in night light feature for a more comfortable night’s rest. It adds a nice little touch of class and really compliments the design style. It’s also a pleasant surprise and not many offer the same soft blue glow. A gentle blue night light feature is provided by the MistAire. When the night light is turned off, however, a lower light remains on so there’s no way to dim completely. That’s really my only complaint. If you’re a bit picky about light at night (yes, I admit I am!) there is one thing to know: While you can change the brightness you can’t switch the light off completely. That’s my only real complaint. For me it’s a minor annoyance considering how near-perfect the humidifier is. If you want total darkness you’ll want to either cover the unit or place it out of sight completely. Maintenance is a breeze! Pop off the tank, unscrew the cap, and fill it with fresh, clean water. It only took me about 2 minutes get a full tank and nearly another day’s worth of use. Not a problem, and you won’t mind it either as it’s so fast and easy. What impressed me the most is that although the water tank is smaller than other models at 0.4 gallons (1.5L) it’s very efficient. I was really thrilled to find out you can get an amazing 16 hours of use on one refill. I highly recommend it for expecting mothers or those who already have babies and need great, easy-to-use dry air relief. In only 15-30 minutes or so (depending on the room size and humidity level) you’ll feel better. In my opinion the Pure Enrichment MistAire really should be the first one you look at. It’s an excellent example of what a well-made, well performing, and most of all, affordable humidifier should be. The superb features like near-silent operation, 2 level output & adjustable nozzle, excellent build quality, and a solid 2 year warranty make it a winner. Why suffer any longer? Head over now and find out why it's one of the best-selling and highest-rated models at Amazon. 2. 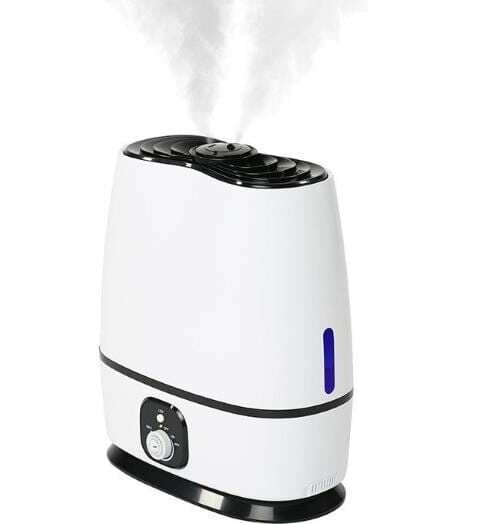 Vicks V745A Warm Mist – Classic design, simple operation, and great basic value make it a winner. Want the great benefits a good warm mist humidifier can offer but don’t want to go broke doing so? 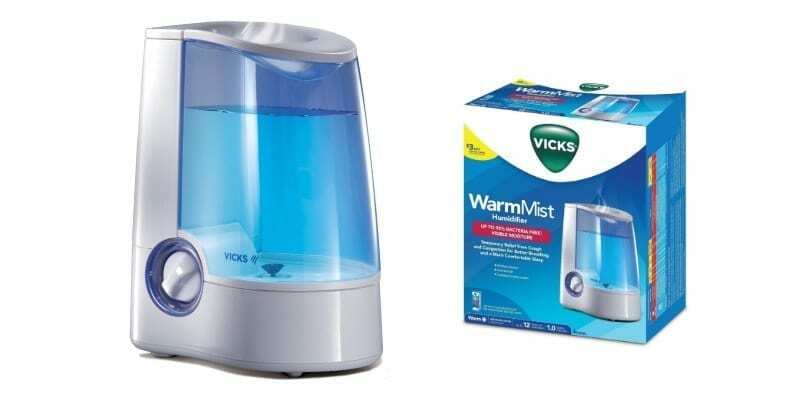 You’re going to love using the super-popular Vicks 745A warm mist humidifier during your pregnancy days. At about $40 (Hint: you’ll get a better price at Amazon) it’s competitively priced and one of the most popular models today! Even better, you’ll get features that even some of the more expensive competitors don’t offer. In fact I own one myself and loved the great cold & congestion relief I got from it, too! left: Use the clear, simple 2 position switch for a pleasant low humidity output. Need more right away? No problem! Select high for faster, more aggressive dry air relief. Right: Suffering from colds or congestion? Help is here. Just pour optional medicated liquids into the medicine cup to boost sinus, cough, or congestion relief. It’s a sure-fire way to get fast relief that works. Speaking from personal experience I can tell you it’s really easy to use. Fill up the tank with clean water, turn it on, and walk away. In only 20 to 30 minutes or so you’ll begin to feel better already. 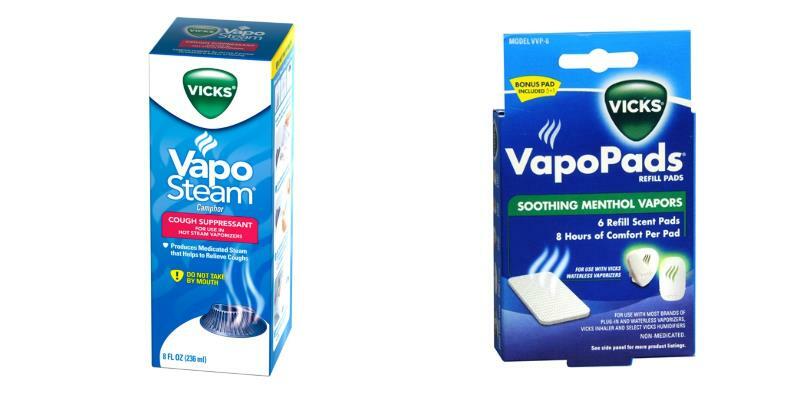 The V745A model lets you add Vicks Vapo Steam or VapoPads for fast cold or congestion relief. It’s a fantastic way to get quick cold relief right away when you’re really suffering from a cold or the flu. Struggling with a tough cold during your pregnancy? Just add a bit of Vicks’ own medicated Vapo Steam liquid mix to the optional medicine cup to fill the air with an amazing medicated moisture. You’ll get near-instant relief that really works! In fact, that’s not all! You can also add menthol VapoPads (sold separately) to the optional side compartment for soothing relief, too. One reason I bought the Vicks humidifier for myself is the large 1 gallon water tank. It lets you run it overnight without having to get up and refill it every few hours. On the low setting I’ve gotten a whopping 12 hours or so between refills. It’s not as quiet as a cool mist humidifier, however. Warm mist models make a bit more noise as the heating element inside turns the water into a soft steam. Even so, it’s still very quiet and won’t bother most expecting mothers while they sleep, read, or just relax. I’m a huge fan, what can I say? If you’re in the market for a warm mist humidifier that simply gets the job done and is a good buy for the money you can’t go wrong here. Come on, what are you waiting for? No mom with a baby on the way deserves to suffer. Head over now and find out why the V745A is one of the one of the best rated, top selling humidifiers at Amazon today. 3. Honeywell HCM-350 Germ-Free – An ultra-quiet evaporative humidifier that’s a step above. Great for pregnant moms! Worried about your upcoming birth and scared about germs, sickness, and other potential problems? Here’s one you’re really going to love. The Honeywell HCM-350 Germ-Free is a smarter, sleek evaporative humidifier that puts others in its class to shame. It features a built-in ultraviolet (UV) germ killer and anti-bacterial filter to prevent the spread of germs. Now that’s an awesome feature that’s rare among in its category. I’ve tested and reviewed several of Honeywell’s air quality products and I can tell you from personal experience that they’re definitely high-quality all the way. If you’re especially prone to sickness or health problems during your pregnancy this is one you should seriously consider. The HCM-350 uses a wick-type water evaporation process that gets a boost from an electric fan with 3 selectable speeds. In fact on the high setting you’ll get performance similar to many cool mist models! The fantastic thing I really love about the HCM-350 is how as it’s an evaporative humidifier it’s impossible to over humidify your room! Thanks to its design it can’t add more moisture than the room’s air will allow. Instead you’ll get a natural, healthy humidity of about 50-60% – perfect for the many symptoms dry air brings. There’s a big 1 gallon tank included. You might thing it would be difficult to use, but it’s not. It’s one of the easiest I’ve ever had to refill. What I really love about it (and you’ll like, too) is how the handle is built right on top. That makes maintenance really easy as you won’t have to struggle like with some competitor’s humidifiers. Just pull the tank out, fill it with fresh water, then put it back in the body. Turn it on and walk away…you’re done! 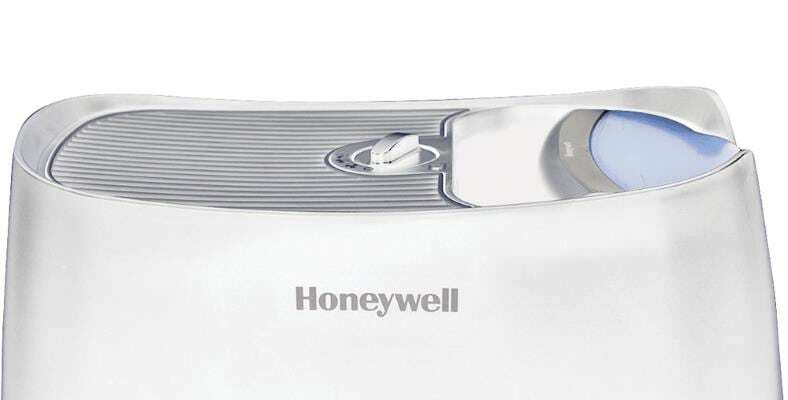 The Honeywell HCM-350 uses a wicking filter along with a quiet fan to efficiently add refreshing, healthy moisture to your room. Together with the UV germ-killing feature the antibacterial filter destroys an amazing 99.9% of harmful microbes. I didn’t expect an evaporative humidifier to really make me stop and take notice but this one’s different. In addition, the filter also traps water contaminants that your water supply may contain well before they get a chance to become airborne and potentially cause problems. As you might expect, since it uses a filter you’ll need to occasionally do maintenance (filter replacement after several months). The good news is that replacement filters are inexpensive at less than $10 each. The HCM-350 has a clear and easy-to-use top-mounted control design. There’s a simple 3 speed fan switch for choosing your fan speed and the humidifier output rate. The built-in ultraviolet (UV) germ killer works alongside the anti-bacterial filter to eliminate mold, germ, and algae growth for pure, fresh moisture and prevent potential sickness-causing contaminants pregnant mothers are vulnerable to. It’s pretty darn easy to use, too. Once you’ve filled up the tank, just pick 1 of the 3 fan speeds using the rotary switch and you’re done! You’ll begin to get invisible, ultra-quiet humidity relief you’ll love. One of the most important things to look for when shopping for a humidifier is the hours per tank refill. The Honeywell is one of the longest-running in its price range: you’ll get an outstanding 24 hours of use between refills! Fan noise levels are excellent so there’s no need to worry about your sleep or relaxation time being interrupted. In my opinion the single biggest convenience factor is that you can’t over humidify a room with this one. Leave it on all day or night – there’s no need to worry about waking up to muggy, sweaty air you’ll hate. A smarter take on evaporative humidifiers, the HCM-350 give you a lot for your money: evaporative efficiency, incredibly low noise, superb reliability, germ-killing features, and super easy maintenance. In other words, it’s a fantastic choice for pregnant moms who want dry air relief without worrying about germs. Buyer reviews are fantastic, too! Take a moment and see why it's one of the best-selling and highest rated humidifiers at Amazon. But wait! Would a different color work better in your home? Check out the handsome HCM-350B black version here. 4. 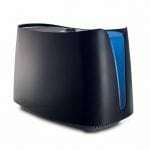 Everlasting Comfort Cool Mist Ultrasonic – A great affordable humidifier for med./large rooms. Get fresh essential oil support, too! What if you’re not only expecting a baby one day soon but could really use some fantastic soothing natural essential oil scents at home? I’ve got just the thing! A best-seller, the Everlasting Comfort Cool Mist Ultrasonic humidifier is an affordable, high-quality choice you’re going to love. 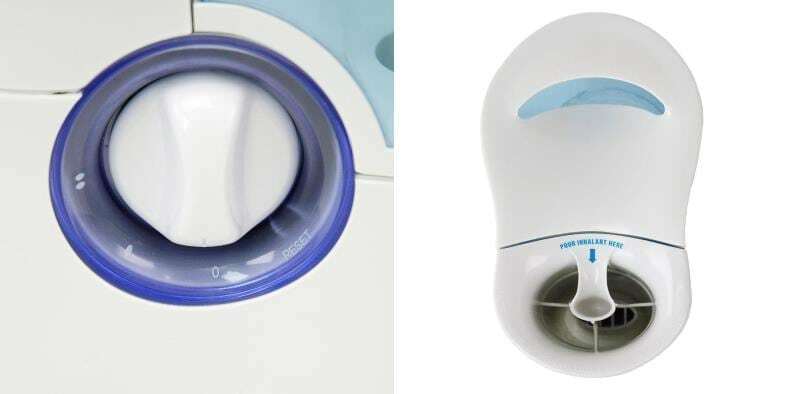 Well-designed yet inexpensive, it’s a cool mist humidifier that offers excellent dry air relief for expecting mothers with a lot of great features, too. It’s available in 2 color options: white or black. The Everlasting Comfort’s top water tank is a large 1.6 gallon (6 L) in size. Right on top is a handy carrying handle. To the right side you’ll find a convenient night light you can turn on at any time. Great for moms with or without newborn babies! The water tank on top holds a generous 1.6 gallons (6 liters) of water for an excellent 24 hours of use between refills. This one has one of the longest run times between refills that I’ve come across in its price range ($70 and under). Top: Pull out the aromatherapy oil tray, quickly add a few drops of essential oil, and in seconds you’ll be enjoying an amazing, soothing scent at home! Bottom: Controls are straightforward and simple and I like them – I’m sure you will too. 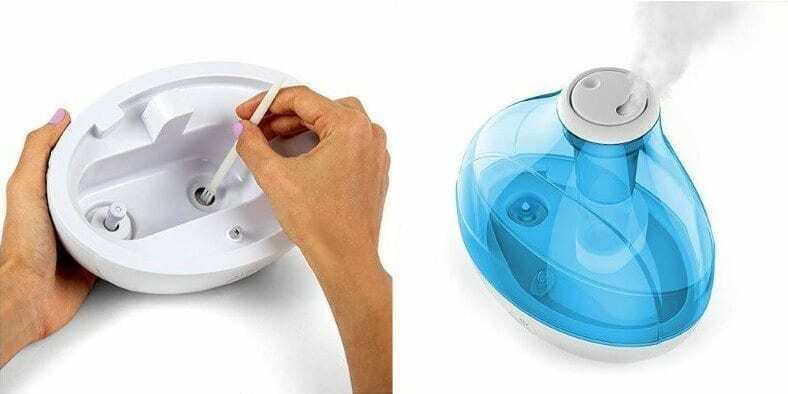 Click the LED button to turn on the side night light anytime. A rotary mist output level lets you adjust the humidifier’s output to just the right amount. Controls are simple but really well done. At the base of the humidifier there’s a really nice rotary control that makes adjusting the output level a snap. I’m really fond of it as I’m a big fan of products that are easy to use for my readers. To use the night light feature just click the LED button on and off – it’s just as easy as the rest of the controls. While you could say that the design is a bit plain and not “fancy”, in my opinion that’s a good thing. Based on my test experience a simpler design that works well tops a prettier, more complicated setup every time. Using essential oils is easy! If you haven’t already started using essential oils like I have you’re missing out! 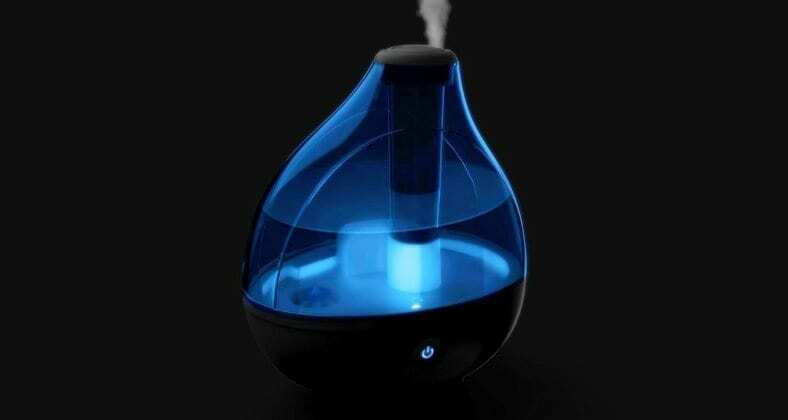 The Everlasting Comfort humidifier is a great way to get started using essential oils in a humidifier. Choose a lovely aromatherapy oil and open the side door. Just add a few drops into the tray and you’re done! When you shut the side door and start the humidifier you’ll have a room filled with that wonderful fragrance in only moments. I’ve recently started testing essential oils and I love them. While the Everlasting Comfort is already a great humidifier the added bonus of essential oil support is a fantastic option for expecting moms. With it you’ll get a way to unwind and relieve the everyday pains and stress of pregnancy. Is it the cheapest you can find? Not at all. But for around $65 or less it’s an excellent buy that still can fit most budgets. It’s well-made and has some of the best features in its price range. Add the aromatherapy feature as a bonus and it’s one of the best you’ll find in its price range. Thousands of happy buyers can’t be wrong! You’re going to love it as much as I did. Take just a moment and see the current low price and fantastic buyer reviews at Amazon. 5. Levoit LV600HH Hybrid – Advanced features, cool & warm mist modes, and automatic humidity control make it a superb choice. Great for large rooms. How about some great news for once? You’re in luck! 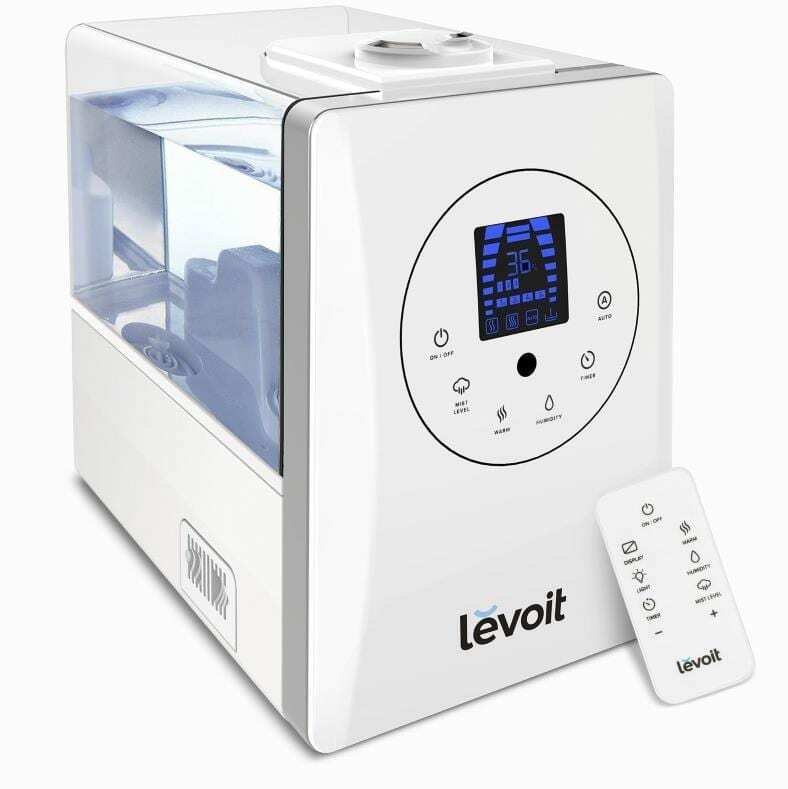 Despite being one of the most advanced humidifiers on the market, the Levoit LV600HH is still affordable at less than $85! A leader in home air quality, Levoit produces some of today’s hottest-selling air purifiers, humidifiers, and much more. The LV600HH is one more example of why they’re an industry leader. 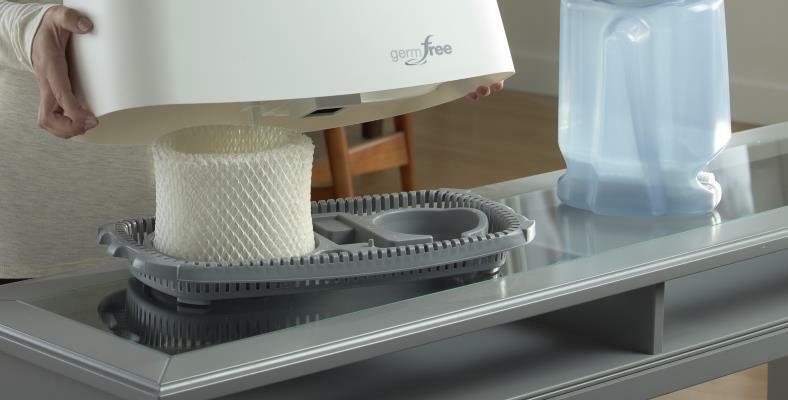 The Levoit humidifier is unique in that it offers hybrid approach: You’ll get cool mist or warm mist operation any time you like. An intelligent microprocessor-controlled automatic mode lets you set it and walk away. You’ll get the perfect humidity level every time! Check out the advanced features you’ll get. A sharp digital display panel shows you the current room humidity and features in use at a glance. 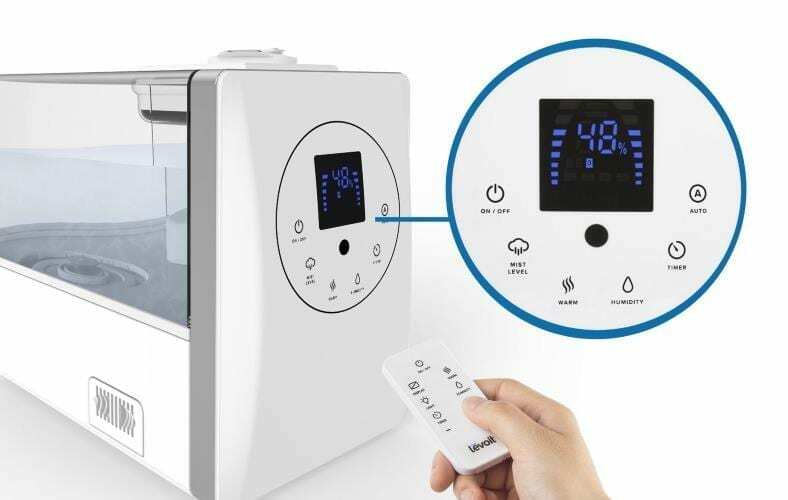 The front-facing control panel features well-designed electronic touch buttons. Use the included remote control at your leisure to adjust the unit from across the room. Very nice! One of the first things you’ll notice is the great display that really helps set it apart. The digital display panel shows the room humidity level in addition to current function settings clearly and easily. It’s easy to read even at night. Don’t worry, though: the backlight can be turned off for night time use. There’s an excellent user control panel. To use it you’ll press the touch buttons which are clearly labeled and easy to understand in my opinion. it only takes a little while to get accustomed to it. The included remote control works well and offers a 25 foot range. I realize you don’t often think about remote controls when you think about humidifiers, but I have to admit it spoiled me! You’ll also get a neat little aromatherapy tray to use wonderful essential oils anytime you like. Just slide it open, place a few drops in it, and close. In only takes a few minutes to make a room begin smelling wonderful. Get more than just a humidifier for dry air relief for moms to be – get an excellent aromatherapy machine, too! There’s no need to buy 2 separate products. The LV600HH provides an essential oil tray to add your favorite scented oils any time day or night. While the Levoit LV600HH is one of the best humidifiers I’ve had the pleasure to use and recommend, it’s not without a few faults. For example, there’s no night light feature included. I can’t figure out why considering many competitor’s lower-priced products do have it. Additionally, the humidity readout is a bit off from what my own digital gauges measure. Those are pretty minor gripes, though, and don’t really change my overall opinion and recommendation. 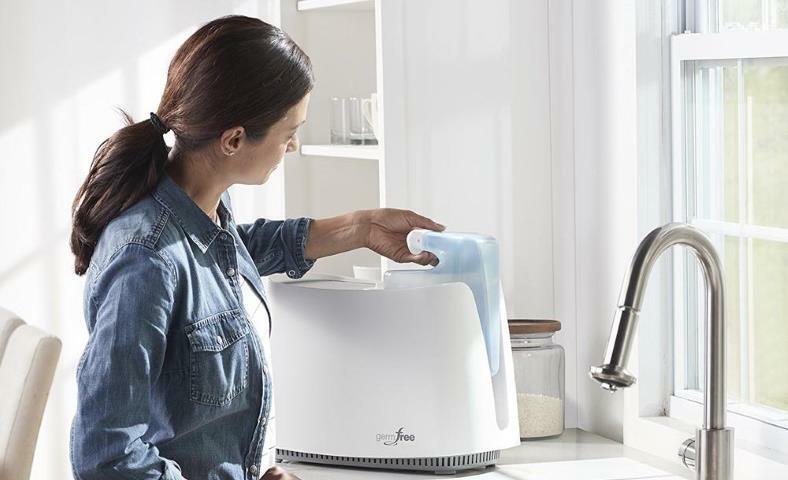 If you’re a pregnant mom who needs a fantastic humidifier with some of the best features available, year-round operation, and the benefits of both warm AND cool mist operation, it’s a great one. While you could pay less and get less, for well under $100 you’re really getting a lot for your money. 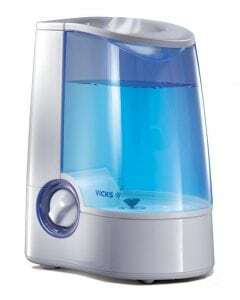 It’s one of the best humidifiers available today. Why bother having to walk across the room with your tired, sore legs and feet when you could just relax and use the remote control? Make your air – and life – more comfortable today. Find out now why it's one of the most advanced & most affordable large room humidifiers at Amazon. 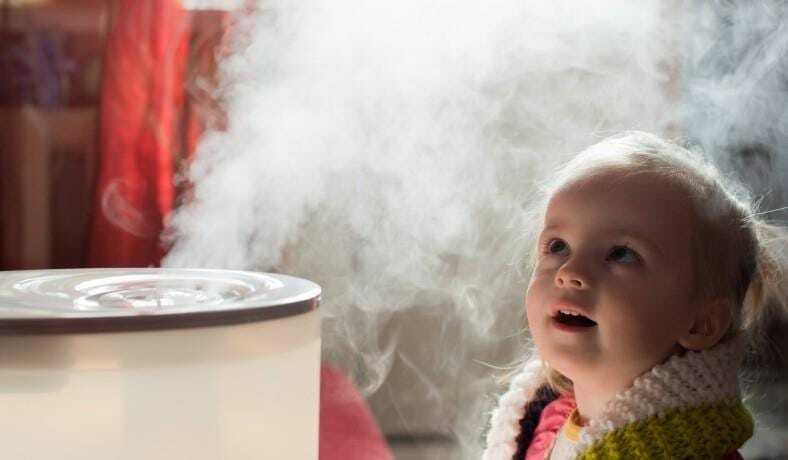 Wondering what the differences are between an air purifier and a humidifier for your little one? 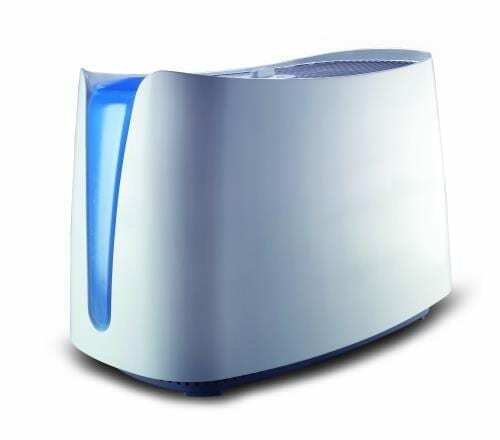 Here’s a helpful post to decide between an air purifier or humidifier for your baby. Have question, comments, or concerns? Feel free to leave me a comment or reach out.